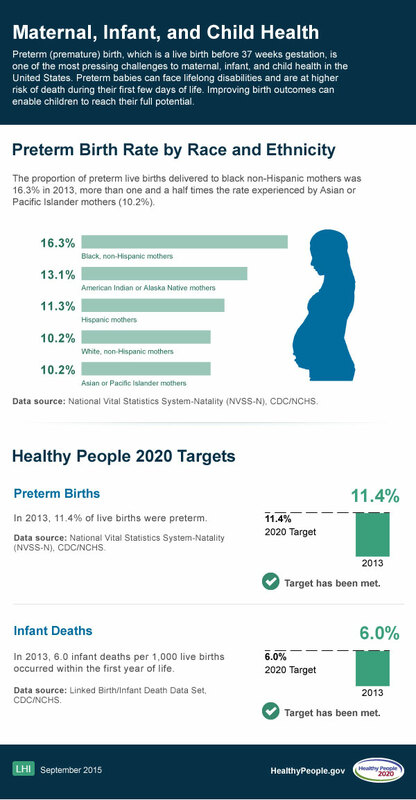 The proportion of preterm live births delivered to black non-Hispanic mothers was 16.3% in 2013, more than one and a half times the rate experienced by Asian or Pacific Islander mothers (10.2%). In 2013, 11.4% of live births were preterm. In 2013, 6.0 infant deaths per 1,000 live births occurred within the first year of life.